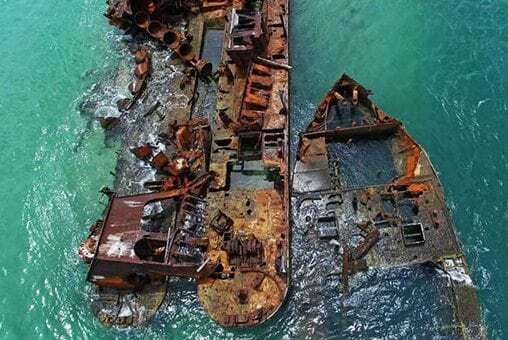 Another entry in our “It’s exactly what it sounds like” list, Shipwreck Grove spent a few decades as a dumping ground for decommissioned ocean vessels. This slightly desolate salt marsh lies about thirty minutes outside of Adelaide, and is home to 25 known shipwrecks. Not a national park or reserve, the Grove is surrounded by industrial sprawl. However, Garden Island is surrounded by enough mangrove trees to both block out the Mordor background and give your shipwreck photos that creepy Lost World vibe.